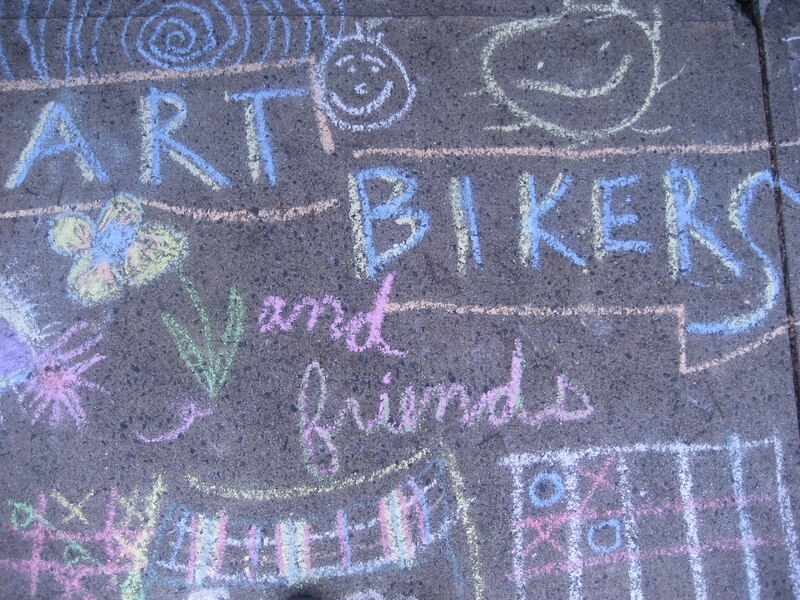 On July 9th the Art Bikers visited Bayers Westwood again, for their first community barbeque of the summer! It was held outside the Family Resource Centre, and there was a great turn-out. Everyone got to eat hotdogs and also make PUPPETS! Wood spoon puppets, pop-up puppets, sock puppets, paper bag puppets, hand puppets, face puppets...we saw it all! Finished puppets (and their creative owners) put on plays in a homemade puppet theatre for a very appreciative audience.